Built in 2013, this stunning Masterton home features 5 bedrooms plus study (or 6th bedroom), 3 bathrooms and triple garage on an elevated 4343m2 block with gorgeous country vistas. This wonderful home is available for sale exclusively through Maitland Real Estate Agents. 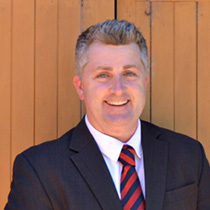 Secure your appointment today by contacting licensed real estate agent Troy White on 0432 717 354.